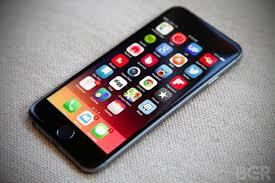 Iphone is the latest iphone in the family of Apple launched by the company. Here are some of the best and top rated apps by the ios store which are frequently downloaded by the iphone users from the app store. Lets begin with one of these..
Itâ€™s now possible to translate speech and text in most languages with the new Googleâ€™s translate app also listening for a response to translate it back to you in the host language. Which means that it has a voice command to recognize your voice instead of writing them on to your screen. The app can also scan foreign text and translate it back to you â€“ although itâ€™s worth noting that it works best with printed text and less well with handwritten. It has lots of new added languages and a complete usage of the technology like voice recognition, scanning the foreign text language and getting a printed advice to your translate. â€¢ Improved stability. Fixed crash bugs. â€¢ Word Lens: Just point your camera to a sign or text and the Translate app will instantly translate the text, even without Internet/data connection. Currently available in: English â†” French, English â†” German, English â†” Italian, English â†” Portuguese, English â†” Russian, English â†” Spanish. 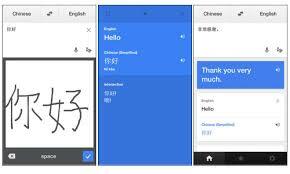 â€¢ Camera Mode: Snap a photo, highlight the text and get a translation. Currently available in 36 languages. â€¢ Automatic language detection in speech/conversation mode â€“ start translating with speech input and Translate will recognise which of the two languages is being spoken, allowing you to have a more fluid conversation with another person. 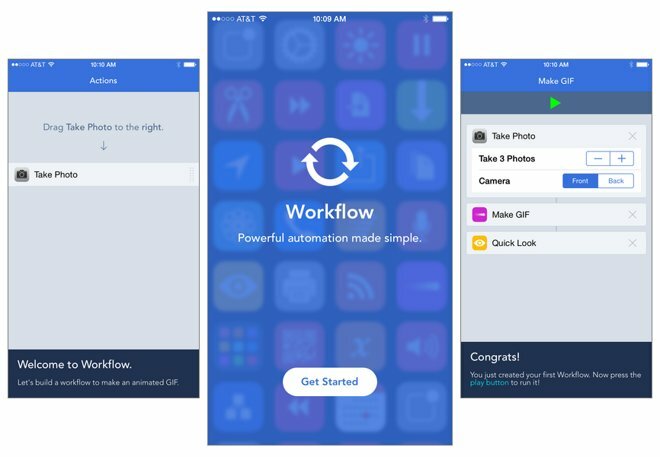 Workflow is a really ingenious app that lets you quickly automate different actions within your iPhone. Say, for example, YouÂ want to take a picture and shareÂ it withÂ friends , then you simply need to set up a process in WorkFlow that does that automatically. That action can then be saved to the iOS share sheet or home screen as an icon to quickly carry it out.Â Workflow is your personal automation tool, enabling you to drag and drop any combination of actions to create powerful workflows. Your workflow creations can be launched from inside the Workflow app or from other apps using Workflow’s Action Extension. You can even export a workflow as a standalone app on your home screen. 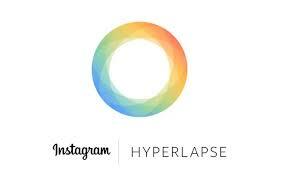 Hyperlapse is one of the hottest apps right now for any iphone user who loves snapping photos and videos and posting them on Instagram. The app allows users to capture time lapse videos, even when they are moving thanks, to its stabilization feature. With this app you can create amazing time lapse videos, in-house stabilisation. Hyperlapse shoots polished time lapse videos that were previously impossible without bulky tripods and expensive equipment. When you shoot a time lapse video with Hyperlapse, your footage will be instantly stabilised to smooth out the bumps from the road and give it a cinematic feeling. For example capture an entire sunrise in 10 seconds Â even from the back of a moving motorcycle, walk through the crowds at an all-day music festival, then distil it into a 30-second spotÂ or capture your bumpy trail run and share your 5k in 5 seconds. â€¢Shoot handheld time lapse videos in motion â€“ while you’re walking, running, jumping or falling. â€¢Smooth out your video for cinematic quality with automatic stabilisation. â€¢Speed up your hyperlapse to be up to 12 times the speed. â€¢Share your videos seamlessly on Instagram or save them to your camera roll to share anywhere, at any time. â€¢Start filming immediately with a simple design that doesn’t get in the way of your creativity. â€¢Download and start capturing. No sign-up or account required. 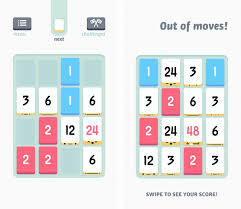 One of the best games to play on your iPhone is Threes, a puzzle game perfect for killing time when commuting. Threes is a number game that keeps growing. Users have to swipe like numbers together, such as 3 + 3 to make 6, followed by a 6 + 6 to make 12. The game is easy to learn and the puzzle will last a lifetime. Download it now for $1.99. Some of the rewards which are achieved by the threes isÂ Apple Game of the Year 2014 andÂ Apple Design Award 2014 Winner. Explore our little gameâ€™s deep challenge and grow your mind beyond imagination. Optimized for iOS8 and human brains. Universal app for iPhone and iPads. 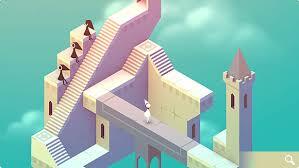 In Monument Valley you will manipulate impossible architecture and guide a silent princess through a stunningly beautiful world.Â Monument Valley is a surreal exploration through fantastical architecture and impossible geometry. Guide the silent princess Ida through mysterious monuments, uncovering hidden paths, unfolding optical illusions and outsmarting the enigmatic Crow People. Synchronize your game across all your devices on Â icloud. Compatibility: Requires iOS 6.0 or later. Compatible with iPhone 4, iPhone 4S, iPhone 5, iPhone 5c, iPhone 5s, iPhone 6, iPhone 6 Plus, iPad and iPod touch. This app is optimised for iPhone 5.
is actually good and the viewers are actually sharing fastidious thoughts.